InEK data portal open for submitting DRG proposals from November 30, 2018 to February 28, 2019! 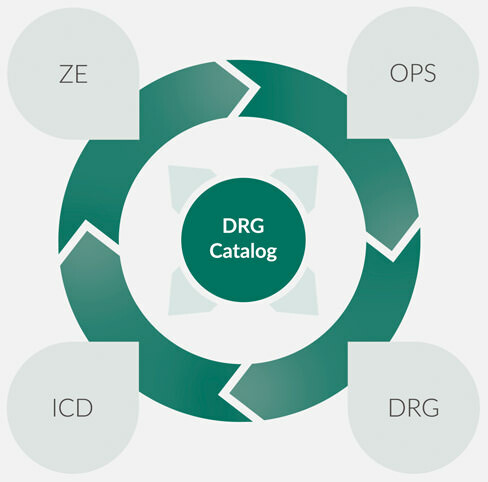 DRG applications and / or suggestions for changes serve the further development of the existing G-DRG system and are submitted via the InEK data portal by various actors of the German health care system. For this purpose an IK number (institutional code) is required for identification. This enables external expertise to be implemented in the further development of the system. Click through the process steps and get comprehensive expert information about the DRG proposal procedure. The self-governing bodies have entrusted InEK with the task of carrying out a regular procedure for the integration of medical, scientific and other external expertise for the further development of the G-DRG system. This process supports further development and maintenance of this system in order for it to adapt to the constantly changing events. Due to this, it is also referred to as a “learning system”. Who may submit DRG applications to InEK? The proposed amendments should be prepared and submitted primarily by organizations and institutions. This procedure is intended to ensure efficient problem detection. Individuals, on the other hand, are asked to coordinate with the relevant advocacy groups. Proposals from the above-mentioned organizations and institutions contribute to the development of clinical trials as well as medical expert knowledge and promote in keeping the system up-to-date. After the procedure has been completed, the sender of the respective positively evaluated proposals will be informed of the reasons as well as the scope of the contribution. The application window opens annually in early December and ends at the end of February of the following year (except for NUB). In the case of a proposal submitted via the InEK Data Portal until 28 February, further inquiries can be made in the event of ambiguity by the InEK. Late applications can still be submitted until 31 March, but InEK will not be responsible for the timely processing of the application.